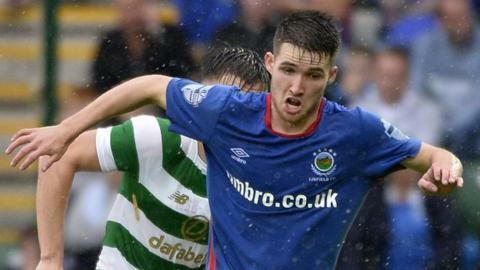 Linfield forward Paul Smyth has completed his transfer to English Championship side Queens Park Rangers. Smyth, 19, signed a two-year deal with the London club after undergoing a medical on Monday. QPR have been chasing the Northern Ireland Under-21 for some time and agreed terms with Linfield on Saturday. "I am pleased that Paul is going to get his opportunity," said Linfield manager David Healy after Smyth's final Blues appearance against Ballymena United. "He has the ability but the hard work starts for him now. Smyth, who will turn 20 in two weeks, helped Linfield to a league and cup double in his first full season with the club.